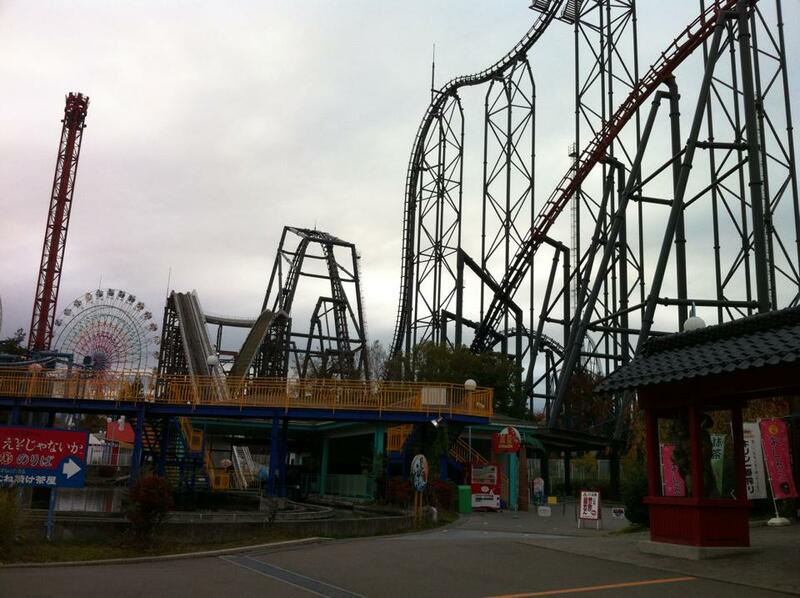 Fuji-Q Highland (富士急ハイランド) is an amusement park located near the foot of Mount Fuji, famous for several large, fast roller coasters, two haunted mazes, Thomas Land which is dedicated to Thomas the Tank Engine, as well as Gundam and Evangelion attractions. On a good day, Mt Fuji can be seen towering over the park. We visited Fuji-Q Highland in the afternoon after spending a couple of hours at nearby Kawaguchiko where we stared hopefully at clouds, trying unsuccessfully to catch a glimpse of Fuji-san. It was a cold, gloomy, overcast day in the middle of the week, and this may have contributed to the fact that when we arrived at the theme park, we were virtually the only people there. I’ve always been fascinated by photos of abandoned theme parks, and for a few minutes, I thought I’d wandered into one. Apparently it does get busier on the weekend and during nicer weather, but it was kind of nice having the place almost entirely to ourselves after the endless crowds at Tokyo Disneyland. 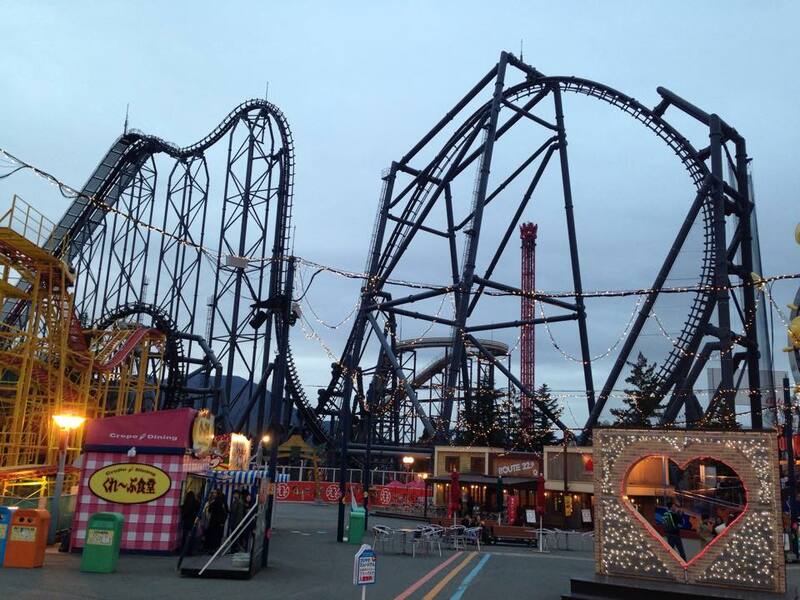 Whilst not as famous as Japan’s incredible Tokyo Disney Resort, Fuji-Q Highland is a classic theme park. 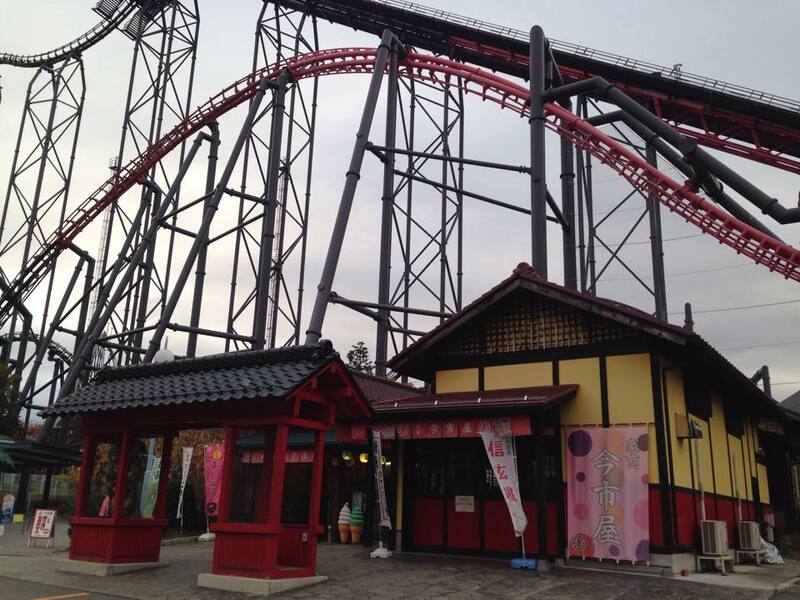 In addition to the roller coasters and mazes, it has a ferris wheel – because every amusement park in Japan should have a ferris wheel – and even has its own tea-cup ride. That’s Eejanaika in the background! 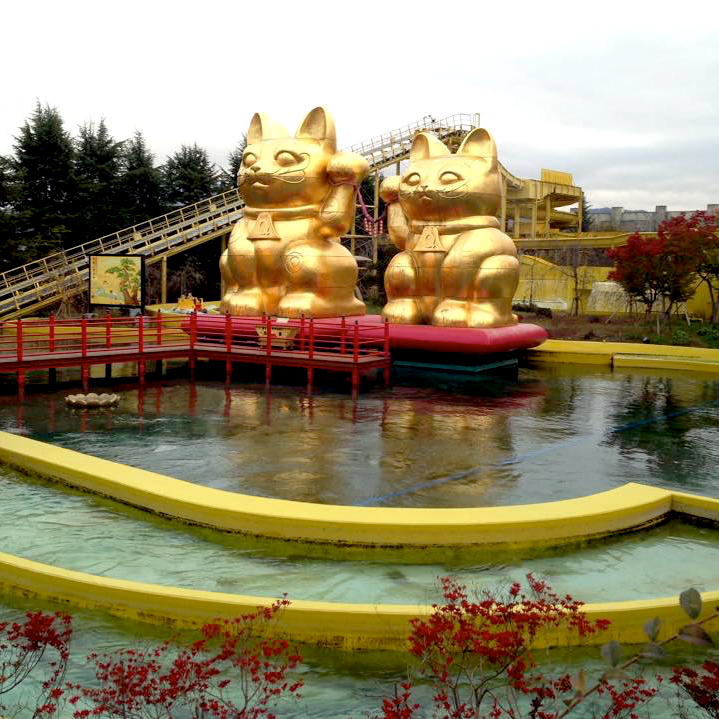 As well as roller coasters, Fuji-Q Highland has several water rides, including Nagashimusaka, featuring these two enormous golden Maneki-neko cats! 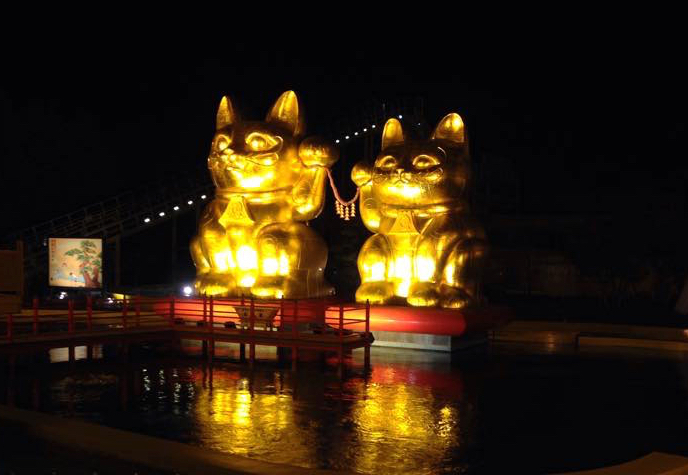 The golden cats look pretty spectacular when lit up at night. This is Ultimate Fort, which claims to be the most difficult maze ever created. I’m not sure how maze difficulty is calculated, so I can’t verify this, but in addition to just wandering through the maze, you’re meant to complete certain “mission tasks”. As we visited Fuji-Q in the afternoon and needed to catch several trains home to Shibuya (we spent many hours on the train that day!) we couldn’t spend nearly as much time at Fuji-Q as we would have liked. Next time we attempt to see Mt Fuji, we’ll probably stay up that way for a night or two, which will also give us time to experience as many of the Fuji-Q attractions as we like. 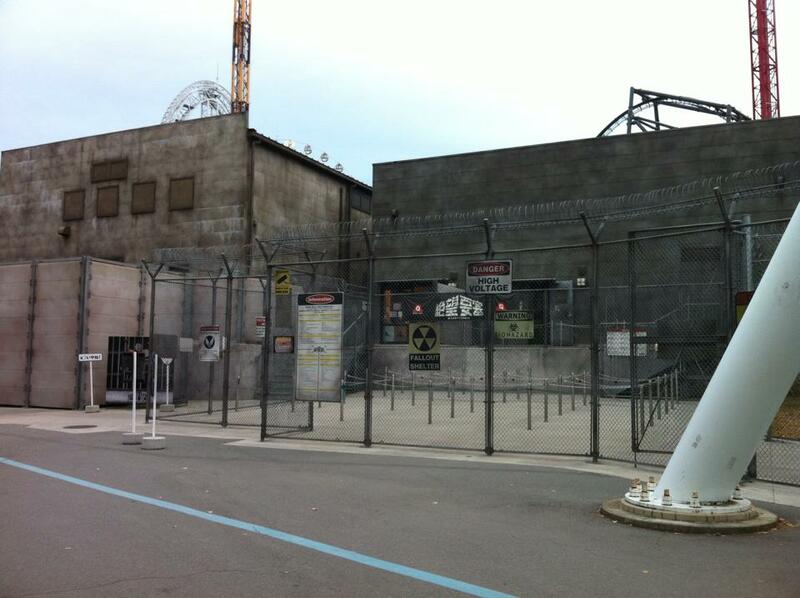 We also missed out on the Gundam attraction altogether as it was temporarily closed at the time. On the plus side, we got to see Fuji-Q at night before we left. 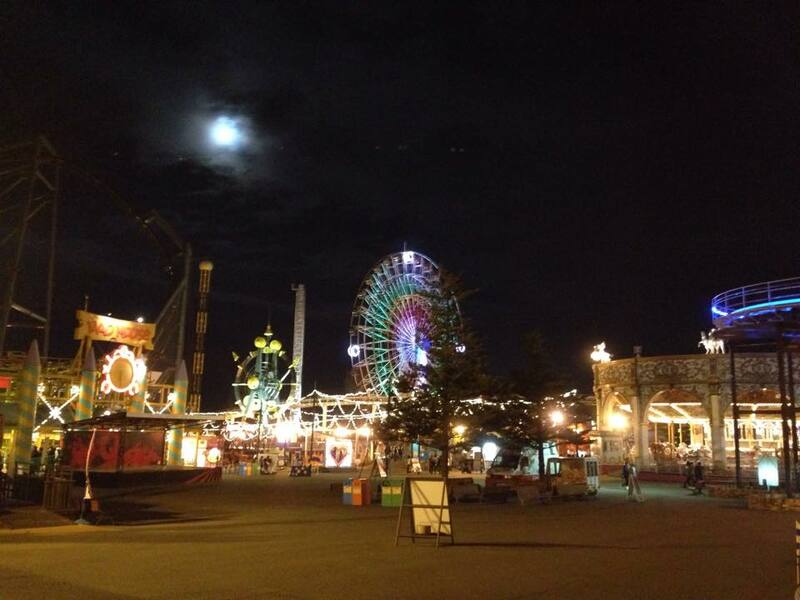 While I said it had an abandoned theme part feel when we first arrived, it was really quite beautiful at night. If you’re making the trek out to see Mt Fuji then Fuji-Q Highland is easy to get to. If travelling to Mt Fuji by train, the station to get off at on the Fujikyu Line is Fuji-Q Highland (that’s right, the park actually has its own station!). In terms of getting to this general area from Tokyo, it’s a long train trip involving several different trains. Coming from Shibuya, we needed to get a JR train to Shinjuku, then the JR Chuo Main Line limited express to Otsuki Station (this took over an hour), and then change to the Fujikyu Line, which was about another hour. I have a feeling that we may have actually spent as much as six hours getting to and from Mt Fuji that day, and many people recommend catching a bus instead. 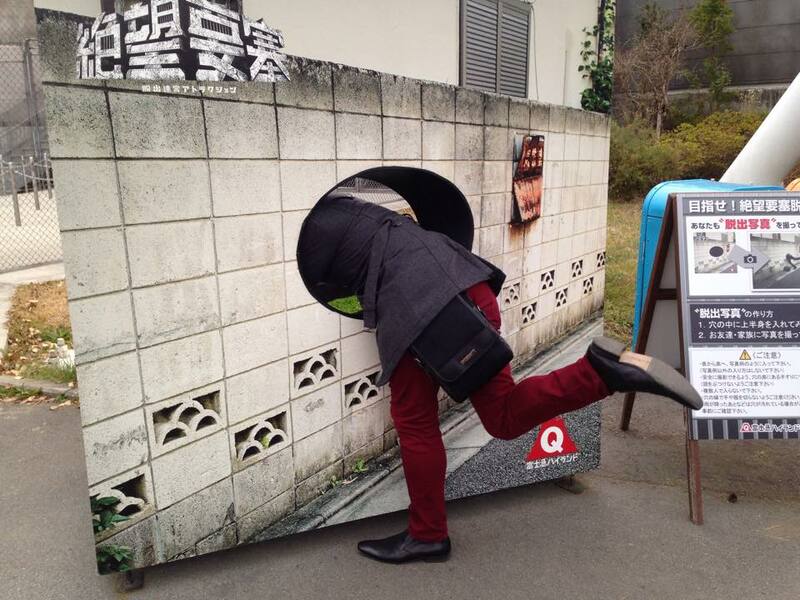 You can find more information on getting to Fuji-Q Highland on their website. Would I recommend Fuji-Q Highland? If you’re going to Mt Fuji, then I’d recommend checking it out while you’re in the area – especially if you like scary roller coasters, mazes, Gundam or Evangelion. 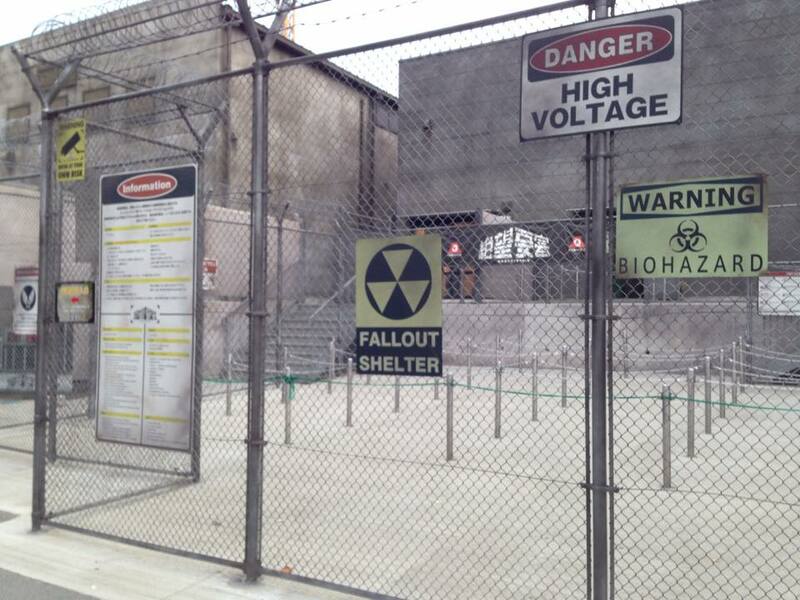 Or if you just like amusement parks in general. 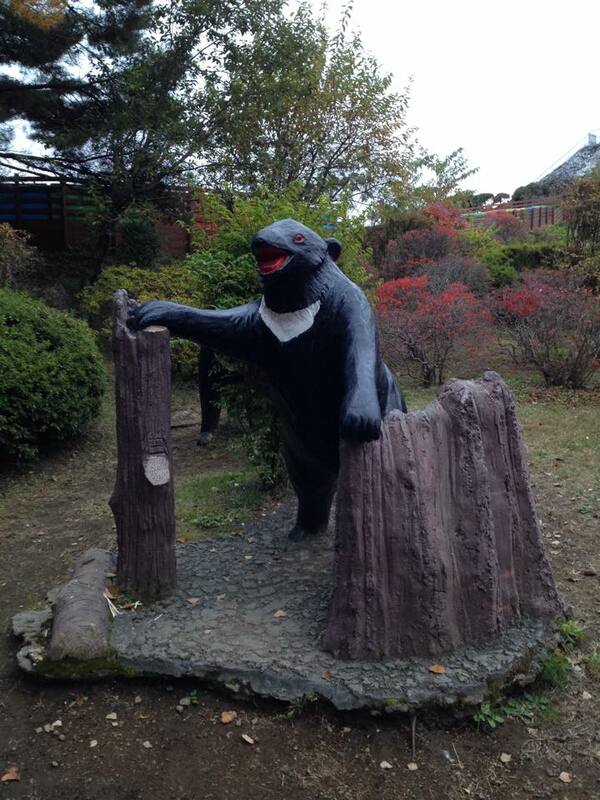 If you just want to look around then it’ll only cost you 1,400 Yen – but then you’ll need to pay for all of the attractions separately (and at 800 to 1,000 Yen, that’s going to add up very quickly!). A 1 day ‘free pass ticket’ (which I’m guessing means you don’t have to pay extra for the rides) costs 5,200 Yen. We just bought the entry tickets and paid for attractions separately because we didn’t have enough time to make a ‘free pass’ worthwhile, but next time we’ll get the ‘free pass’. Next up we’ll look in detail at the amazing Evangelion: World attraction!